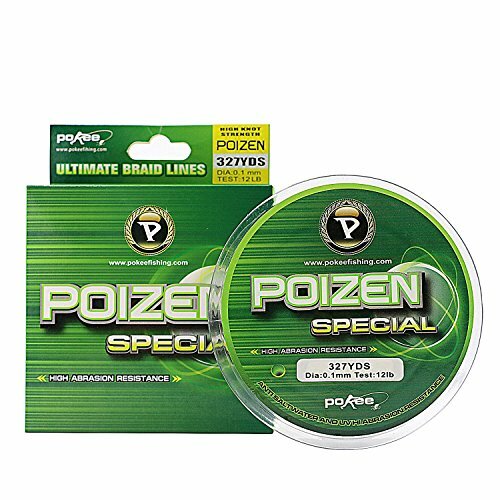 EXTREMELY THIN - Our braid is a fraction of the diameter of monofilament or fluorocarbon which allows you to pack amazing quantities of heavy line on small reels. LAST FOR A LONG TIME - Braid has less wear and tear than mono, and is not subject to weathering from sunlight! ABRASION RESISTANCE - Reduce the friction with the guide ring and offers smoother casting and longer distance.